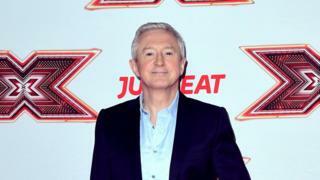 Louis Walsh has decided to leave talent show The X Factor after what he has described as 13 "fantastic" years. Walsh, 65, has been the show's longest-serving judge, appearing on all but one edition since it began in 2004. Production company Thames thanked him for playing a "huge part" in the show's success. "The show needs a change and I'm ready to leave," said Walsh in a statement. He added that he would remain a judge on Ireland's Got Talent, as well as focusing more on "my day job as a manager, writing my memoirs and seeing the world". Amelia Brown, managing director of Thames, said: "His contribution cannot be overstated. "We would like to thank him for all he has given to the show over the years and look forward to continuing to work with him in the future." "I can't wait to get back to the judges' desk," she said. "I love the new format." Ms Brown added: "This is the start of a new era for The X Factor. I am really excited about all the ideas we have for the coming series including, of course, the new judging panel." Judges' auditions for the X Factor 2018 will take place at Wembley Arena in London and previously advertised auditions in Liverpool will now take place at the venue in the capital.